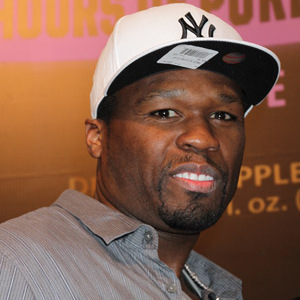 *50 Cent couldn’t escape this escapade this time. The rapper’s crew was caught on camera fighting it out with Maybach Music’s Gunplay backstage at the BET Hip Hop Awards. Although witnesses say 50 wasn’t involved with the fist throwing, he was in the area, they say. In a video clip obtained by WorldstarHipHop.com, 50, Tony Yayo, Mike Knox, and other member’s of the G-Unit crew are seen walking past some trailers when they come upon their arch nemesis. The attack begins immediately. It’s honestly hard to distinguish whose fist is doing what, but one has to question really, was 50 innocent? In a radio interview earlier this week, G-Unit affiliate Mike Knox told listeners that the entrepreneur wasn’t involved. Perhaps it’s true. Gunplay maintains that it was the rFiddy’s bodyguards that attacked him. “I stood up in the paint, like a real G supposed to, with five bodyguards that’s trained to kill a human,” Gunplay, the Miami rapper said in a radio interview with Power 105’s Breakfast Club morning show in New York.